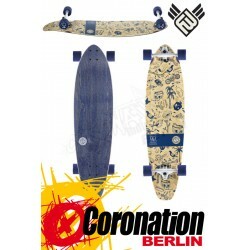 The Bolt Tin Tip Fade Longboard offers a simple yet decorative statement emblazoned on the underside of the deck. 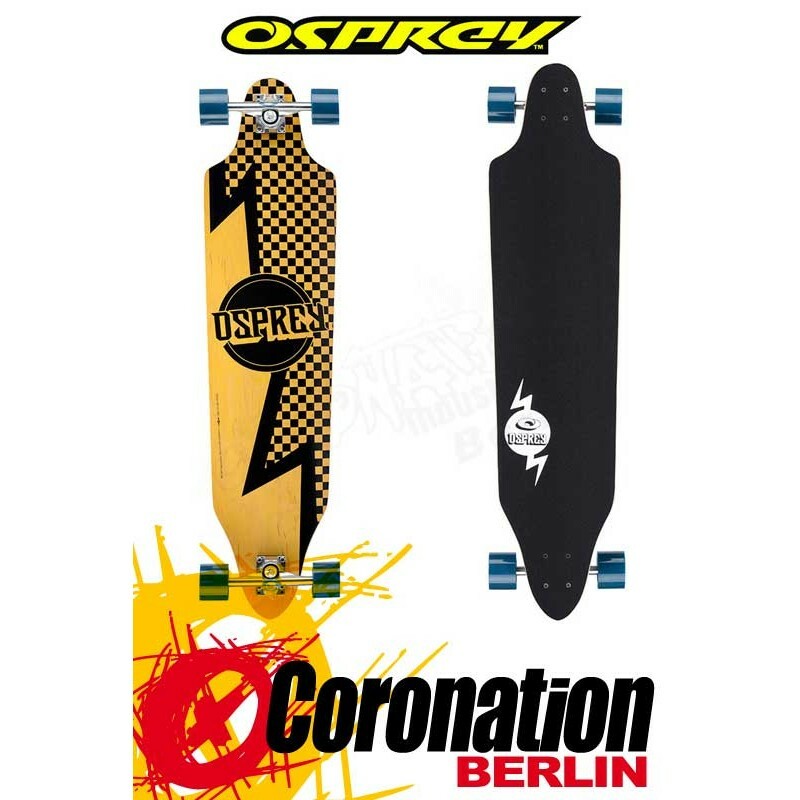 The Heat transfer design helps sum up what this deck is all aboutPerformance with style! 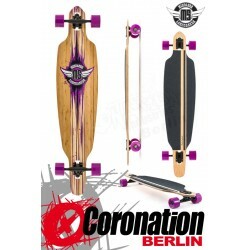 Complete with a chunky 40 inch x 9.6 inch cut out Canadian maple deck the Bolt may resemble a tanker on wheels but by no means does it turn like one! 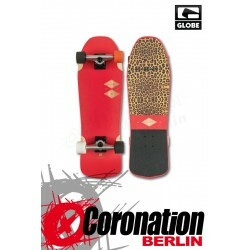 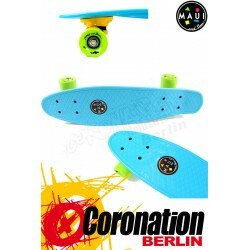 Its hard 7 inch trucks provide smooth pivoting for responsive turning speed and super slick carving. With ABEC-9 bearings, fitted with rubber seals the Bolt runs incredibly smoothly for a much less choppy ride. 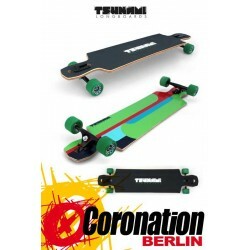 The twin-tip cut out design virtually eliminates wheel bite, allowing corners to be taken with precision at high speed. 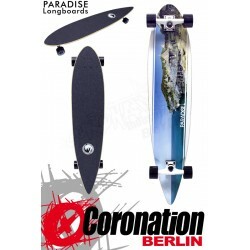 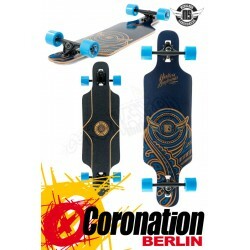 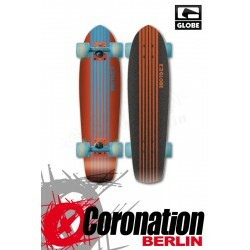 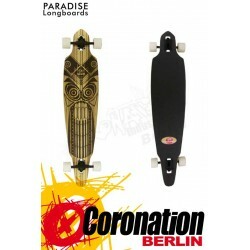 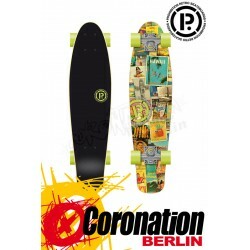 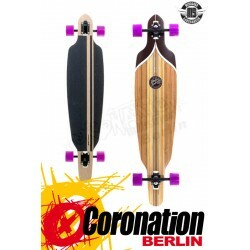 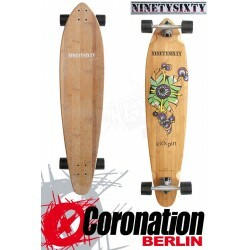 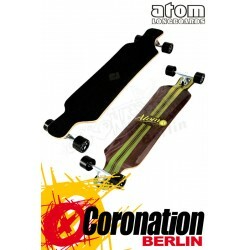 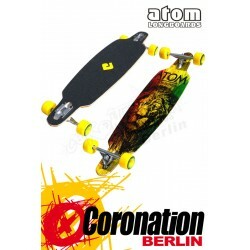 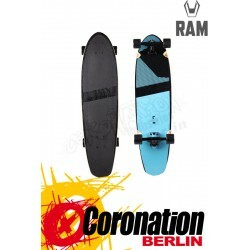 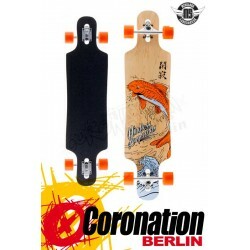 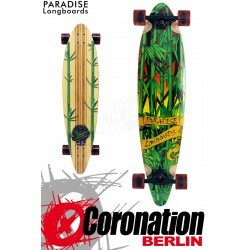 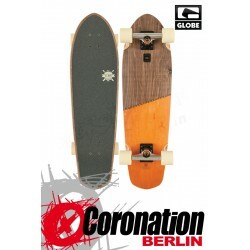 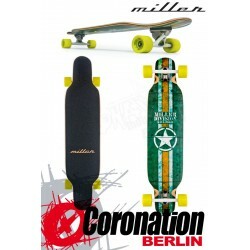 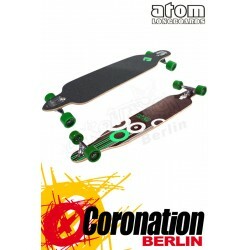 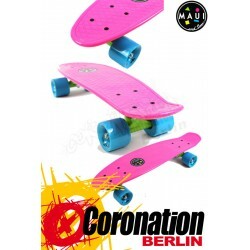 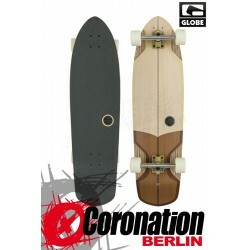 Jetzt Neu bei uns im Shop: Osprey Bolt Twin Tip Fade Longboard. 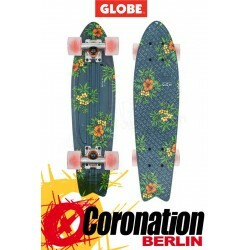 GLOBE Sun City Longboard complete 30"